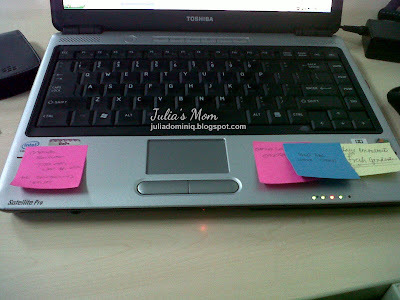 I mentioned in my on-going blog giveaway that Post-It® is one of my favorite things. Yes, I'd be lost without Post-It®. That is not an exaggeration! You see, I easily forget things. And I can't blame the spinal anesthesia because even before my CS delivery, I always write my to-do, to-buy, to-discuss, to-announce, to-pay, to-pack, to-approve, to-clean lists so I won't forget! 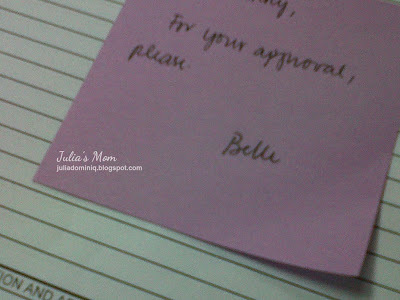 So, you will see Post-It® Notes scattered in my work area. The Post-it® Note was invented as a solution without a problem: Dr. Spencer Silver developed a unique, repositionable adhesive, but the 3M scientist didn't know what to do with his discovery. Then, six years later, a colleague of Dr. Silver, Art Fry, remembered the light adhesive when he was daydreaming about a bookmark that would stay put in his church hymnal. The rest is history. 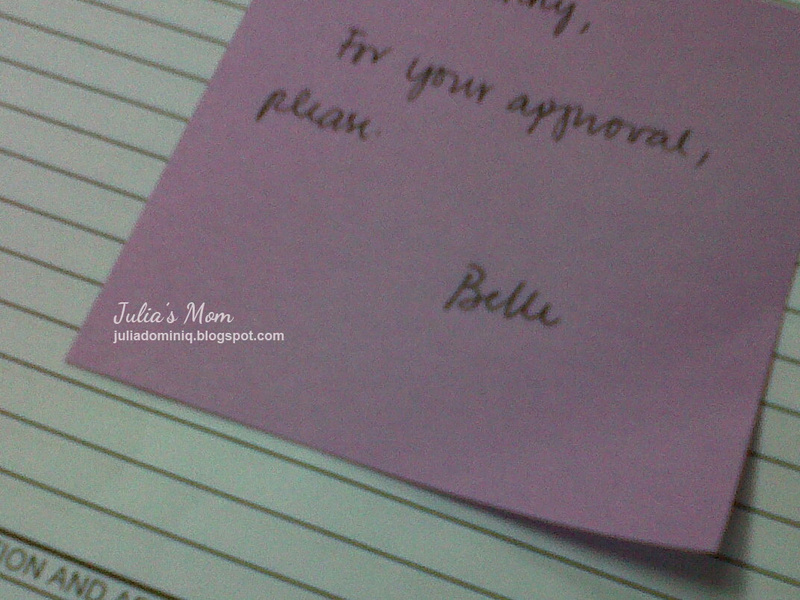 I use it at home, too... for phone messages, grocery list, labels for Julia's things, "Don't Forget" reminders, etc. My box full of Post-it® has the size appropriate for every need and the color fit for every mood. 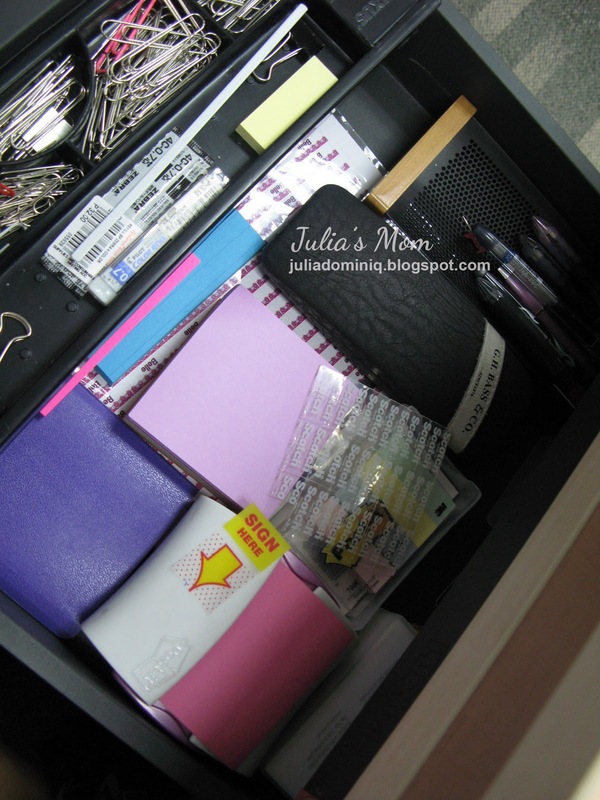 A box full of Post It® Notes, Flags and Arrows inside my cabinet at home. 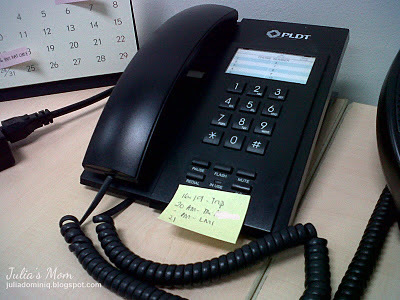 This "invention by accident" is definitely a must-have for all busy moms like me. 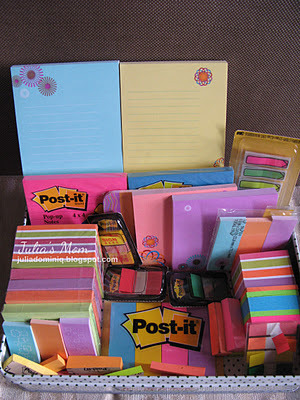 Get the chance to win a Post-It® Gift pack... join my birthday giveaway now! Check out the history and fun facts of Post-It®s.